The Region of Murcia, in southeastern Spain, bordering the Mediterranean is hot, dry, and better suited to goats then cattle. 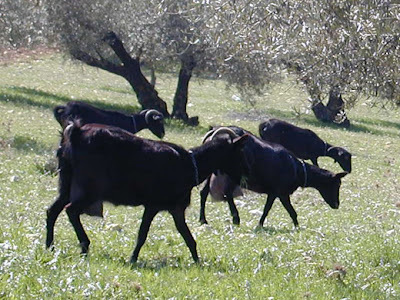 It is the birthplace of the Murciano-Granadina, the best milk producing goat breed in the country. This rustic animal, is well acclimatized to the heat and aridness of the Mediterranean region, with centuries of genetic selection for milk production. Its has a fine mahogany to dark-colored coat, and great migrating abilities to take advantage of good grazing lands. The wine-soaked Murcia al Vino, sometimes labeled "Drunken Goat," is a relatively recent innovation, suggested by Enric Canut, a highly respected Spanish cheesemaker and consultant. Canut was trying to lower the acidity of the curds, probably to make the cheese less perishable. His invention proved so popular that it has invigorated the dairy business in the region. 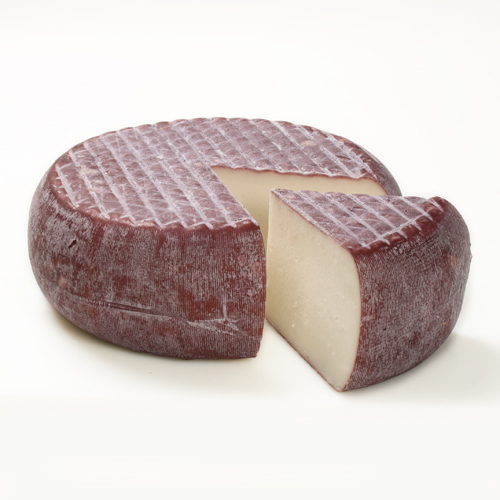 For the superior taste experience, seek out the mature cheese, Murcia Curado (aged Murcia) which has been pressed and brined longer to enhance its ageability. It is a small wheel with a waxed rind and a compact ivory interior. The cut surface glistens with fat, always a good sign. The aroma is lactic, with caramel notes. You know before tasting it that the cheese will be tangy. Let a nugget dissolve slowly on your tongue and note its sweet and sour flavors and impressive intensity. It must be at least 60 days old to earn the Murcia Curado denomination of origin, but a more mature wheel -- say, 4 to 6 months old --will be even tastier. The cheese's sweet and tangy flavors are a challenge for dry wines, but are a near-perfect match for an amontillado sherry.